The Coffee of the Month Club is the perfect gift for any coffee lover! 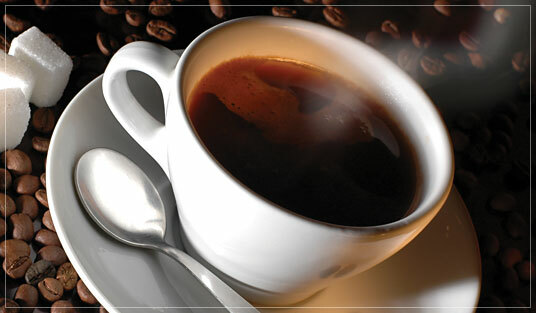 Perhaps more than any other beverage, coffee is a staple of Italian life. In fact, the world's first coffee shop opened in Venice in 1640. And by 1763 it had 218 outlets! Each month we'll deliver two new varieties of freshly-roasted, 100% Arabica bean coffee carefully chosen by our taste-testing professionals for incredible flavor, delightful aroma, and a truly gourmet experience. Each generous monthly selection includes two 12oz bags - enough to last an entire month - and included with each delivery is our fun and informative coffee club newsletter, The Daily Grind, with information about our monthly selections, fun coffee facts, and more. Choose from 3, 6 and 12 month clubs or try our Coffee of the Season Club with new selections each spring, summer, fall and winter. If you're sending a gift, you can send a gift announcement by U.S Mail or email. You can even print your gift announcement right from your computer. It's the perfect solution for last-minute gift giving! We're proud to deliver some of the most flavorful coffees available anywhere - hand-roasted and vacuum-sealed for perfectly fresh delivery. Each month we feature one flavored coffee and one non-flavored and both are available as either whole beans or freshly ground. If someone you know can't get enough of delicious, premium coffee - the Flying Noodle Coffee of the Month Club is a gift they'll appreciate month after month. Just like all of our gourmet gift clubs, the Coffee of the Month Club includes FREE SHIPPING and our 100% Satisfaction Guarantee. They are going to love this gift. We Guarantee it!